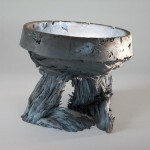 Jolan van der Wiel, as a part of his graduation project from Amsterdam based school, have made an amazing art piece, the Gravity Stool. 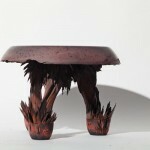 And by saying this, I mean really gravity stool, because it is shaped completely by gravity! Check out how he made it, using just two ingredients! 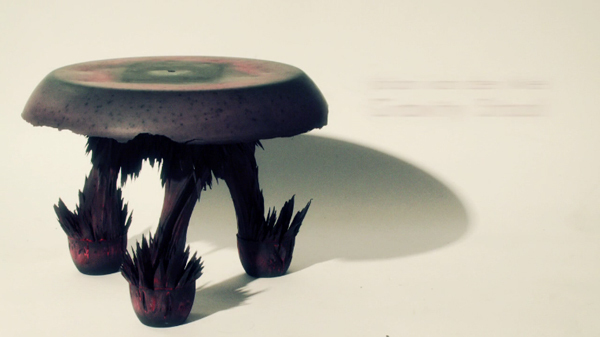 This amazing stool is an embodiment of one of the prominent physics laws, the gravity. 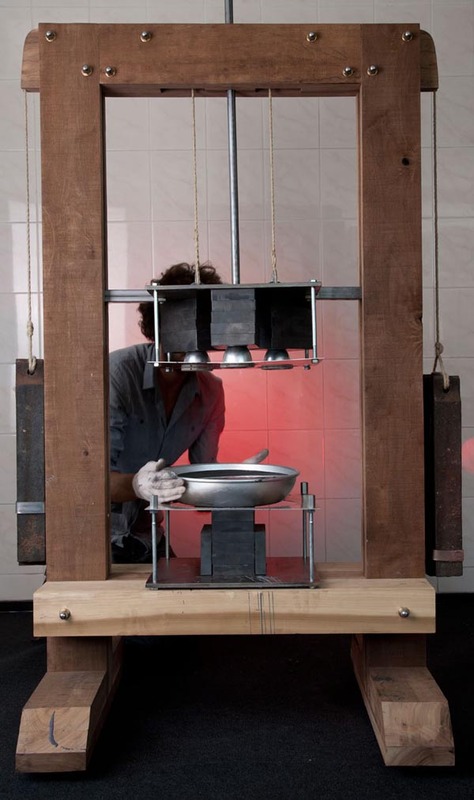 The creator, Jolan van Der Wiel, have completed this project by manipulating plastic and the magnet machine,which he made himself: the rest was done by the gravity forces. Amazing, isn’t it? 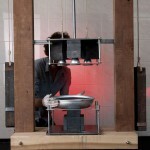 He uses liquid plastic with some iron, mixes it in a bowl and lets it all into his originally designed magnet machine. By this, he shaped the seat and knows the location of the legs, but the rest is the gravity! The procedure itself has to be done very quick, and in five minutes the chair is done! 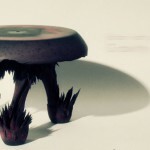 The gravity stool looks like an alien mushroom, which is splashed into some bowl and then elongated. 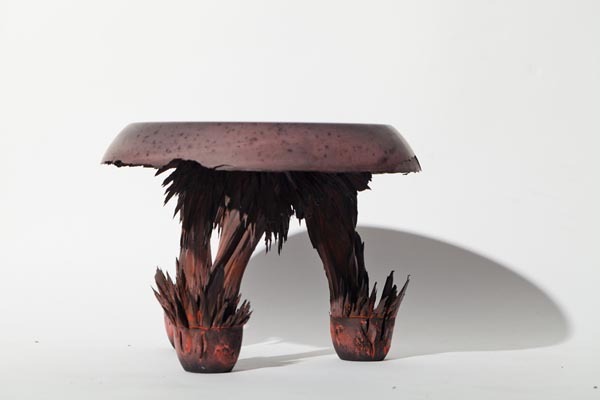 While Jolan van der Wiel was also experimenting with some toxic colors, the stool looks like a nuclear explosion caught in motion. 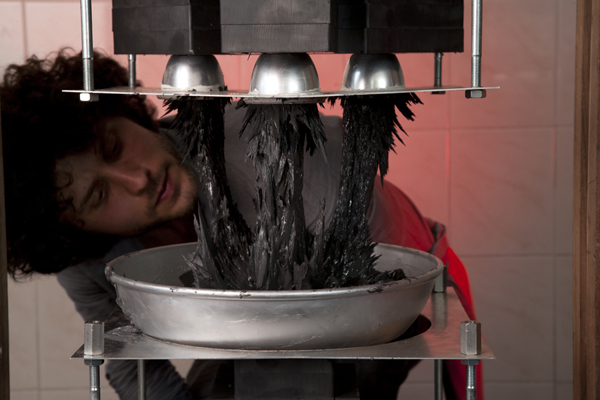 This amazing creation was presented at the Transnatural group show, which was part of Tom Dixon’s Exhibition at Salone Internazionale del Mobile 2012, in Milan at the Museum of National Science and Technology Leonardo da Vinci, and surprisingly at the same time in Ventura Lambrate. 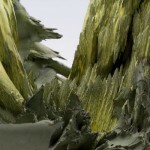 Despite its toxic looks, the stool looks amazingly natural, because these curves and lines that the gravity makes, are impossible to fake. 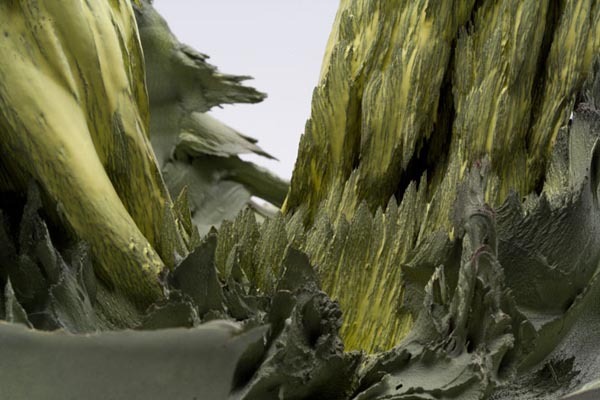 Jolan van der Wiel firmly believed he mixed physics and art, by making a collaboration between the natural forces and art itself. interesting in small low stool. Wabi sabi?